Preloading is used to increase the feed accuracy and rigidity of ball screws. Why is this necessary? In many applications utilizing ball screw actuation, position accuracy is of utmost importance. 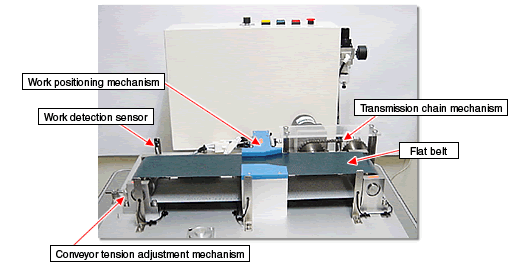 With many ball screw driven actuators, position accuracy can be achieved within a few microns. Any deviation could compromise the design intent. Thus preloading is applied to reduce axial clearance between a ball nut and the screw shaft and to also achieve precise positioning. It is also important to apply the proper amount of preloading to prevent excessive heat generation through the ball screw’s expected life. The force applied internally to ball screws by assembling in a group of steel balls or using a pair of nuts that are axially mutually displaced, in order to reduce backlash and increase the rigidity of the ball screw. Positional Preload Preloading method considers the positional clearance of the screw shaft and steel balls. [Fig. 1] This preloading method ensures 4 points of contact between the ball screw grooves and nut. This is accomplished by inserting slightly oversized steel balls. Lead Shifted Method This preload is applied by machining the nut with a groove offset at the center in the amount of desired preload. [Fig. 2] A preloading method using a spacer between a set of nuts to achieve the desired amount preload. Ideal for heavy preload. (For Heavy Preload) Similar to the spacer method, the nut ends are machined to achieve the desired offset, then pinned together to prevent rotation among each other. The preload is applied with a spring. If backlash or slip is not a major concern in your application, it is advised to choose a ball screw with larger clearance (directly related to accuracy grade). This will keep cost down and prevent overdesigning. Stay tuned for the next article where we will dive into ball screw performance!